should i purchase samsung neo or xiomi mi3 ? I don't understand so poor audio frequency response when DIRAC is involved in the matter. Can that be a firmware issue? It was supposed to have great audio with and without earbugs, wasn't it? Does it have a Dual Sim option? How is the front camera of this phone? AnonD-121109, 17 Aug 2014Not satisfied with the review. You guys jump over little price cuts and rank value for money f... moreJust show me where they compared it to Galaxy S5, please? Not satisfied with the review. You guys jump over little price cuts and rank value for money factor much more than any else tech site and i really appreciate that fact but here, for some unknown reason, you seemed more than ignorant about the fact that the flagship you are reviewing and comparing to S5 and Xperias doesn't cost even half of what they cost and in a carrier free countries, that means much more than a mere 'lot'. In India, S5 comes at Rs 40,000, Z2 at Rs 38,000 while Mi3 at 13,999. Do you still think the competition is fair enough? And favoring those two for whatever reasons, sound quality or whatever else, can be considered practical? No. A big No. You wrote that it comes at lesser prices, but never mentioned exactly how much lesser. Chk Chk. Lack of 4K video recording and wired TV-out connectivity option are NOT disadvantages. I repeat lack of 4K video recording and wired TV-out connectivity option are NOT disadvantages. Nice phone. Nice price. Nice features. But difficult to get as phone qty is very less sold in India. Demand is 10 times more. But supply should be incresed to at least half the demand understanding the limitation of imports. AnonD-81271, 16 Aug 2014wooh, finally gsmarena, u guys have reviewed the mi3.. I was waitinb for this one. But yup it ... moreThe 64GB versions are almost impossible to find (except iPhones), no matter the brand or model, especially Samsung (64GB Samsungs usually do not exist at all, its just a fake option to put in their assortment for bragging rights). I would buy if i could get Mi3 64GB at the advertized price but the truth is that it cost $390 (in the xiaomi online store) and then its a no-brainer: Wait for Xperia Z3 Compact. Namo12, 16 Aug 2014Gionee is much better than Xiaomi.no buddy.....use a mi3 u will forget any other galaxies, or chinese brand..... Trust me its an excellent deal. I have this phone and i can claim it. 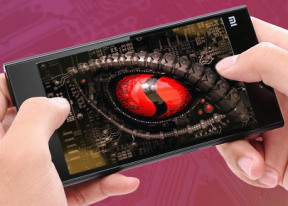 wooh, finally gsmarena, u guys have reviewed the mi3.. I was waitinb for this one. But yup it seems like u dont feel excited about this device ???? I mean i have this device and yes if u leave aside the avg battery( yeeh i browse alot and it eats alot of battery and get like 8+ hrs of battery life, with which m nt very much satisfied). But overall the phone is a boon , trust me. At 14000 inr=$240 its a steal. Im really happy with xiaomi, and hope more such goods from them. The camera is above avg, display is excellent, no lags at all, loudspeaker is ok but i use philips deep bass earphones and sound is excellent. .The phone is nowhere near cheap chinese electronics, built quality is like lumia's. Only if mi3 could support micro s.d(i have 16 gb , 64 gb nt available in india yet..sob sob..).. Overall good work by the chinese giant. Thank you Xiaomi and MI India. Truly a value for money phone. Gionee is much better than Xiaomi. For a phone at this price, I own one and frankly speaking its good for most of the usage from internet surfing, to games to camera, more than enough for everyone. It beats the crap out of the flagships at few things which is great, not sure why gsmarena wasnt "satisfied" compared to oppo, lenovo picking up this much and way better. I think GSMARENA didn't do the review thoroughly, regarding the display and sound output..
the gradiation in display is the UI Design of xiaomi phones which only comes in setting and option menus of the UI, if u check it with a plain white wallpaper, u l notice the difference. its perfectly fine there is no back light issue. and the display has great color accuracy and reproduction. and external loud speaker is way better then what u described, much better then Samsung galaxy s5 which is almost a $800 Flag ship phone and you can say its ear piece and loud speaker is mediocre, trust me i own both these phones. xiaomi mi3 speakers are clear and loud as any other 5 inch flagship phone, u cant compare with HTC one or lg G PRO2 or lg g3 phones, which are big phones n comes with big speakers. and lastly u haven't mentioned anything about the haptic feedback, which is in my opinion is the best among any other android phone,checkout the timer and clock option, u l come to know the level of precision. Anonymous, 16 Aug 2014well, i read the page one of this review and saw "Non user-replaceable battery" so... moreYes I did the same. And I was thinking with what this phone is compared?